The tech world sees plenty of Chinese companies move into India — including the likes of Alibaba and Xiaomi — but few expand the other way. 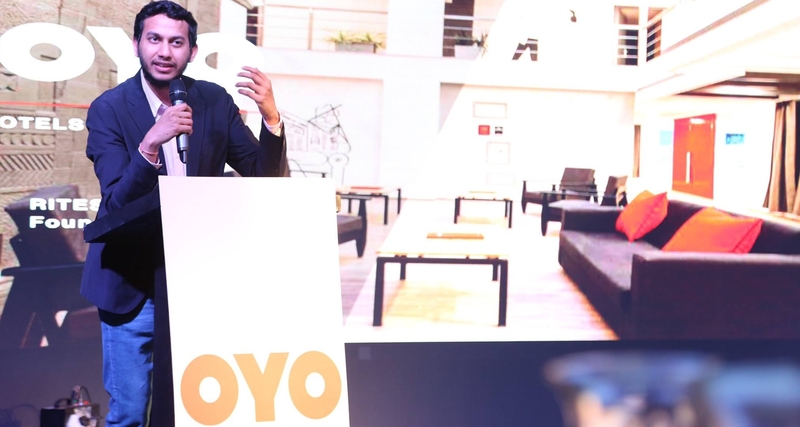 OYO Rooms, the billion-dollar Indian startup that pioneered budget hotel networks, is looking to buck the trend, however, after it launched operations in China. Today the company officially announced its arrival in China, where it says it covers 11,000 (exclusive) rooms across 26 cities, including Hangzhou, Xian, Nanjing, Guangzhou, Chengdu, Shenzhen, Xiamen and Kunming. That selection includes a combination of franchises and managed hotels. OYO is initially launching its ‘hotels’ product, and it isn’t saying whether others — which include ‘rooms’ and ‘townhouses’ — will also expand to China. Interestingly, an OYO representative confirmed that this expansion wasn’t conducted in partnership with China Lodgings, the Nasdaq-listed hotel firm that invested $10 million in the startup last year. OYO said China Lodgings is assisting with the overall strategy in China, however. Make of that what you will. OYO — which stands for On Your Own — was founded in 2013 by then-teenager Ritesh Agarwal, a Thiel Fellow who got the idea for the business after a stint backpacking across India staying budget hotels. The service helps bring the long-tail of small hotels online to generate bookings whilst also ensuring (often absent) minimum standards for travelers, such as hot water, clean towels and linen and Wi-Fi. The company counts SoftBank among its backers and it has raised over $450 million in capital to date, including a $250 million round led by SoftBank’s Vision Fund last year. OYO claims over 100,000 rooms in Inda, and it has been busy investigating new growth opportunities. The China launch is the third overseas foray from OYO, coming after expansions to Nepal and Malaysia. Given the size of the Chinese market and strong competition, this is a daunting challenge for OYO. While the two don’t compete directly on product, they target a similar consumer bracket — consumers seeking an alternative to conventional hotels and lodgings. In China, Airbnb’s big rival is Tujia, which is valued at $1.5 billion and pushing the U.S. company hard. Tujia and Airbnb were one final signature away from calling off their war and merging, Bloomberg recently reported, but ultimately Airbnb opted to go it alone in China. Tujia is determined to battle it so hard that it returns to the negotiation table. So, how then, will OYO — which is well-funded but lacking the capitalization and experience of Airbnb — navigate the Chinese market? Time will tell but you’d suspect it will need to call on some local allies if it is to make an impact.